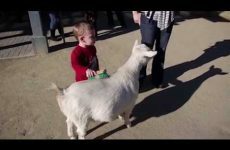 A one-eyed goat was recently born in a village in the northeastern Indian state of Assam. It has a rare condition called cyclopia, where the orbits of the eye fail to develop into two cavities. What If You’re Born Without Sympathy & Empathy? 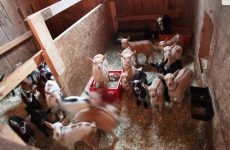 47 Goat Kids Rush To Breakfast!